2 YRS Qingdao Uhair Products Co., Ltd. The custom packaging box with private logo also can be producted prefectly. Q2 What the min order quantity for lashes9 A: Not min order quantity for lashes. 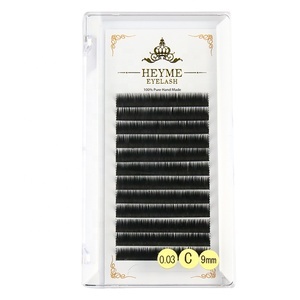 Q3 How many times can 3D Mink eyelash9 A: 20-30 times with appropriate wear. 2 YRS Qingdao Aidi International Trade Co., Ltd.
We have more than 10 years of experience in manufacturing and sales. Q3: Do you have MOQ for samples9 No, we don't have MOQ for samples. 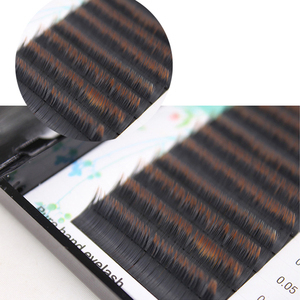 Q5: How many times can 3D mink fur strip lashes be used9 20-30 times in proper and gentle way. 2 YRS Hebei Yu Mou Commerce Co., Ltd.
1 YRS Guangzhou Baizlan Cosmetics Co., Ltd.
1 YRS Qingdao Origin Lashes Import & Export Co., Ltd.
4.What payment methods do you support9 Paypal, western union, bank ransfer, alibaba. 5.What menthods of transportation do you support9 DHL, EMS, FeDex, TNT, Alibaba express, ocean transportation. 6.How long is the transportation time 9 DHL/Fedex: 3-7 days. 3 YRS Qingdao Thamel Trading Co., Ltd.
2 YRS Qingdao DJ Forever Eyelash Co., Ltd.
Our main products are Camellia Eyelash Extensions, Flat Eyelash Extensions, Volume Eyelash Extensions, Classic Eyelash Extensions and Two-tone Eyelash Extensions, etc. 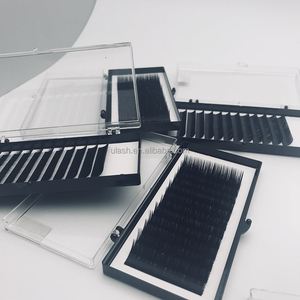 1, What kind of eyelash extensions do you have9 We have Silk/Mink Eyelash Extensions, Camellia Eyelash Extensions, Flat Eyelash Extensions, Volume Eyelash Extensions, etc. You just need to send the logo, and we will make the design, confirm, print and use for your lash orders. 2 YRS Qingdao I Vogue International Trading Co., Ltd.
2 YRS Shanghai Lichu Biotechnology Co., Ltd.
2 YRS Qingdao HERSQUEEN Lashes Co., Ltd.
3. Do you offer samples9 You can take 1-5pcs in first order to check the quantity. We can print your logo and design and use for your oders. You can choose the packaging type you like from the following picture. 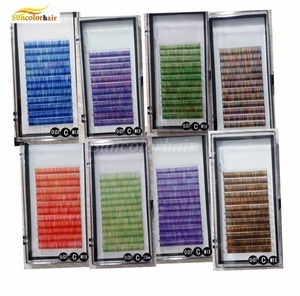 Alibaba.com offers 25,744 colored eyelash extensions products. About 73% of these are false eyelashes, 3% are other makeup tools, and 3% are eyebrow tweezers. 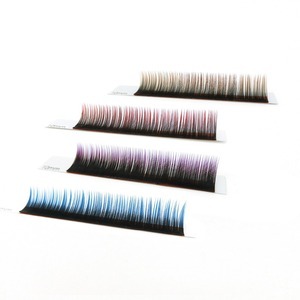 A wide variety of colored eyelash extensions options are available to you, such as free samples, paid samples. 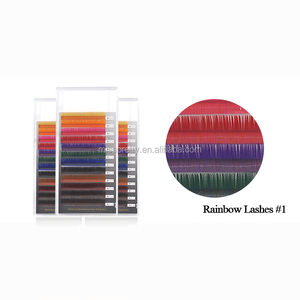 There are 25,744 colored eyelash extensions suppliers, mainly located in Asia. The top supplying country is China (Mainland), which supply 100% of colored eyelash extensions respectively. 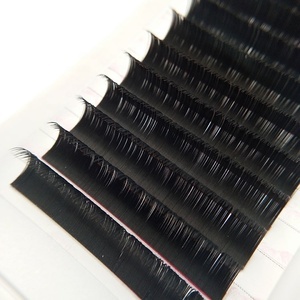 Colored eyelash extensions products are most popular in North America, Western Europe, and South America. You can ensure product safety by selecting from certified suppliers, including 2,848 with Other, 930 with ISO9001, and 204 with BSCI certification.